. 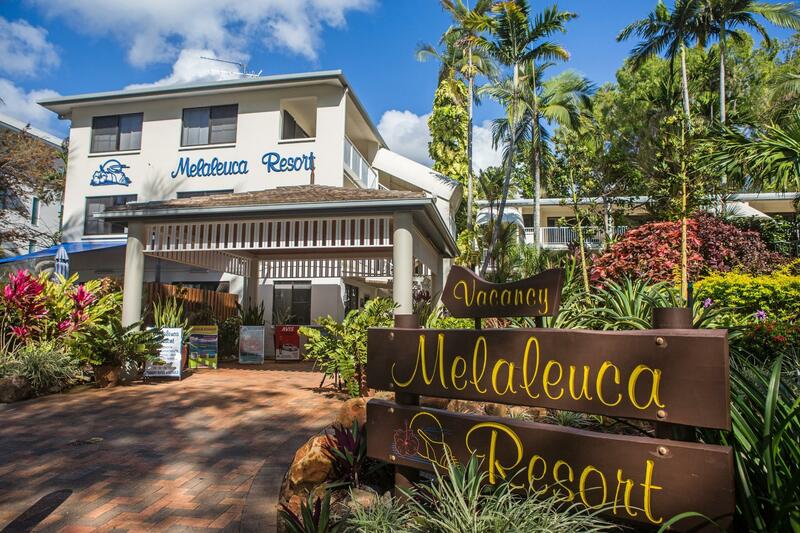 إن الخدمات التي يقدمها Melaleuca Resort تضمن للنزلاء إقامة مريحة. يمكن للنزلاء الاستمتاع بالميزات التالية: واي فاي مجاني في جميع الغرف, تسجيل وصول/خروج سريع, تخزين الأمتعة, واي فاي في المناطق العامة, صف السيارات أثناء إقامتهم في هذا المكان الرائع. لقد جهزت هذه الإقامة الفندقية بعناية فائقة لتوفر مستوى عالي من الراحة. في بعض الغرف يجد النزيل تلفزيون بشاشة مسطحة, اتصال لاسلكي بالإنترنت, اتصال لاسلكي بشبكة الإنترنت (مجاني), غرف لغير المدخنين, مكيف هواء. يمكنك الاستمتاع بالأجواء المريحة التي تقدمها مسار جولف - ضمن 3 كم, حمام سباحة خارجي, سبا, تدليك, حديقة طوال النهار. استمتع بخدمات لا يعلى عليها وعنوان ذو اعتبار في Melaleuca Resort . Very well located , older style Unit with some water views from most . Some furniture needed replacing and or recovering. Quite well equipped. Enjoyed our stay at Melaleuca. Had a beachfront apartment. Very private. Great pool. Great location. A few of the appliances such as toaster, microwave and fridge could do with an upgrade but on the whole would recommend a stay here. Wonderful service and apartments. Great pool and BBQ area. Very good apartment on the beach. Room had all the facilities to utilize which was great with a baby. Pool was great. Ocean view rooms have partial views of the ocean. Will go back. Staff there very pleasant and helpful. Right in front of the beach. Lovely apartment well equipped. Pool is small but set in a lovely garden. We had a sofa bed set for the kids in the living room and worked great. 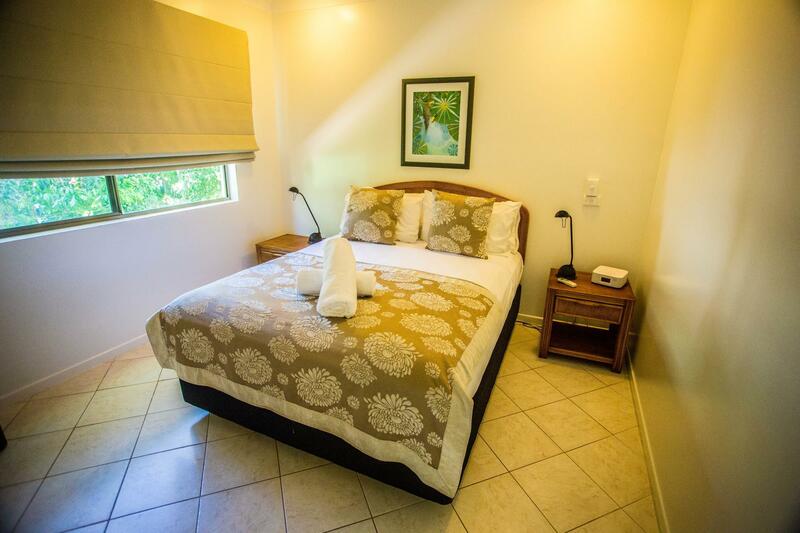 100% recommendation for this resort best value for money in the area, close to shops and many restaurants,(walking distance) good bus service in the street. 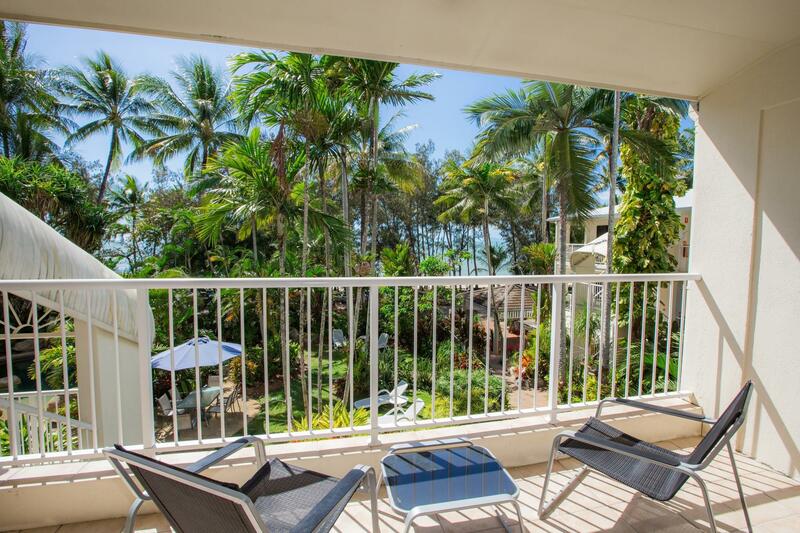 Place is right across from the beach, quiet but right in between restaurants on the main strip of palm cove. Lovely swimming pool and lounging area. Friendly, helpful staff. Had an 'ocean view room', which had a nice outlook but only a semi ocean view really. Looking through palm trees you could see water. A higher up room might have better views. The room had a separate lounge and kitchen which was really handy, although the bedroom had no view. Overall this is probably a great option for those wanting to be very close to the sea with a nice outlook but without the cost of some of the other places. Great position in the middle of the esplanade with a short walk to any number of cafes and shops. It is a short stroll across the main esplanade to the beach. There are many tourist attractions within easy reach. It is not trendy in the sense of being stylish and "chic" but has everything you could want. If mobility is a problem then you may need to ask for a ground floor apartment. Staff were extremely helpful to the extent that they took us shopping on the day of our arrival. The pool and gardens are a delight and the quiet relaxed atmosphere was exactly what we were looking for. One bedroom apartments only, so this would not suit those with children above the age of five. Friendly managers and brilliantly located well appointed unit with great layout. Only downside was the communal BBQ - a previous user hadn't cleaned it and fats on cooking surfaces had gone mouldy - thankfully there are plenty of public BBQs over the road on the seafront. Wonderful locatiom.. Calm tranquil resort with lots of small restaurants...perfect posution to get to Port Douglas for Barrier Reef and short distance to Skyrail...thus giving u lots of choice and no long transfers...all units have full laundry facilities..such a bonus for travellers..well done Melaleuca Resort..
very disappointing and so glad to be gone. it's an average sort of place in an extremely tasteless little town. the restaurants serve bad food at very expensive prices.the waiters are so hurried and unprofessional they even forget to give you your change. at the end of my 3 days in Palm Cove I refused to eat at a restaurant there, instead I had a good Thai meal out on the highway by the shopping center. the management was very strange and intrusive at Melalucea Resort. I did my best to avoid the nosey, meddling female half of the pair, but couldn't escape her as I hoped to. in the end, when I asked a small favor of her, she showed her true colors and refused to help me with a small matter. 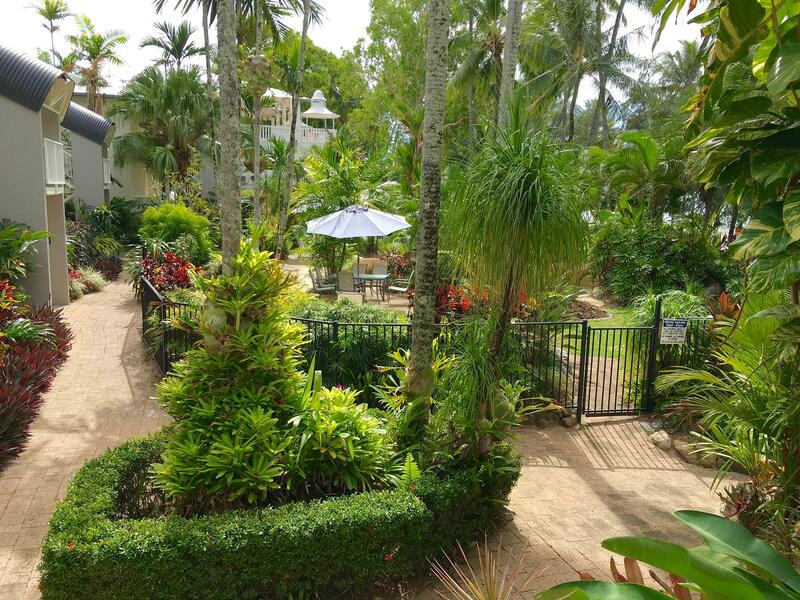 I seriously recommend avoiding Palm Cove unless you like bad and way overpriced services... but if you must go, I'd steer clear of Melalucea if you value your privacy. Management were friendly and very helpful. Where the resort was situated was excellent. The undercover parking and cleanliness of the room was exceptional. My stay was marvelous, Margaret and Stephen were very helpful answering all my questions and helping with transfers to and from the airport. . The location of the resort is in a prime position opposite the beach and bus stops extremely close by. I found the room to be clean and tidy with full kitchen facilities. . . I will definitely be staying there again and will recommend this resort to my family and friends. We relaxed by the pool, walked along the beach and it was an easy stroll to the many eateries to try for dinner. Will definitely come back to Melaleuca Resort. Average. Ok but overpriced. Like a hostel, but a very clean one. We enjoyed our weekend. There were some minor maintenance issues in our unit that were brought to the attention of the managers and were dealt with.